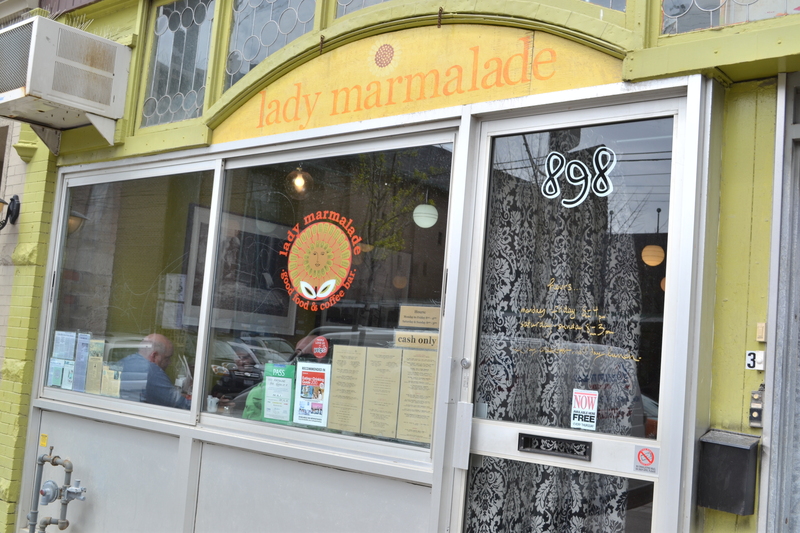 The owners of Lady Marmalade serve colourful breakfast and lunch fare in the most satisfying and appetizing way. Presentation is a little sloppy and the kitchen is a bit of a mess, but damn their food tastes good. I only tried two dishes, but this was more than enough to know that these chefs know what they’re cooking! 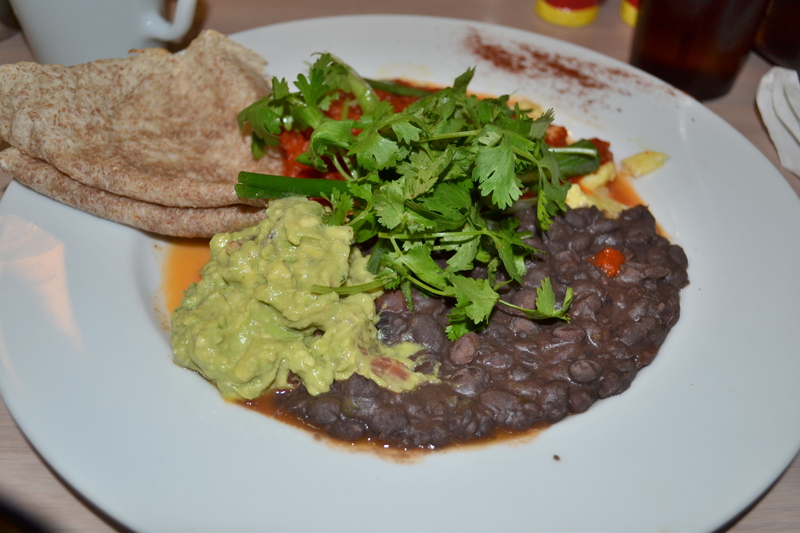 The restaurant’s organic brunch gives you the type of dish that satisfies ALL day long. When you’re seated in the restaurant, make sure to note the assortment of chairs — you’re bound to find a cute chair you’d love to take home with you. I couldn’t order anything other than one of the signature dishes so I picked Huevos Rancheritos. This traditional Mexican breakfast comes with cheesy scrambled eggs topped with chipotle salsa, a large side of guacomole, smashed beans, and a warm wholewheat tortilla. The dish looked totally wild and was garnished with too much parsley, but it was the flavour that got me. I ate the best bites when I rolled a bit of each: eggs, beans, guac in the warm tortilla.The combination was unbelievable. My bf always opts for either the classic eggs, bacon, potato breakfast or a BLT. This time it was the BLT. 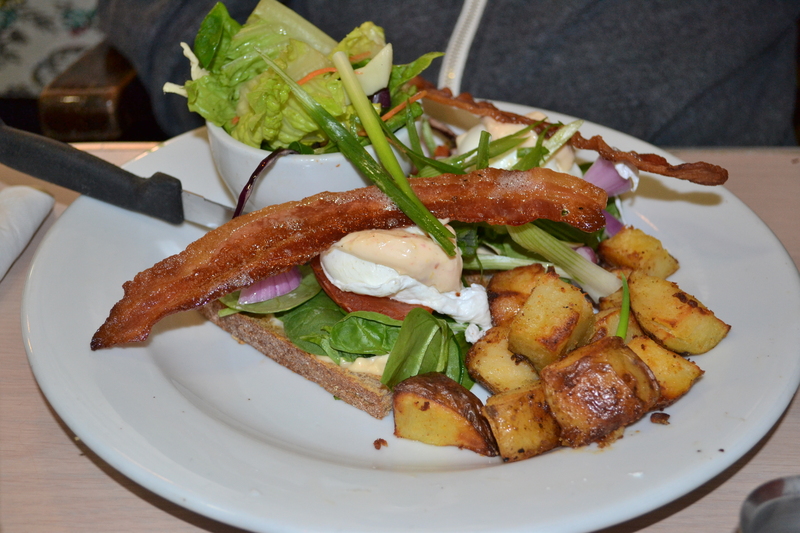 The not-so-classic BLT included a poached egg, bacon, roasted tomato, red onion, spinach, potatoes, side salad, and delicious chipotle mayo. A meal with all four food groups complementing each other beautifully is bound to always hit the spot. The side salad was a little lame and unnecessary but the BLT was bangin’!